It doesn't seem to be universal - trying out the casting feature in Google Play Music on my Nexus 6 and SHIELD TV doesn't appear to be broken - but enough people are experiencing it that it's beginning to gain notice. 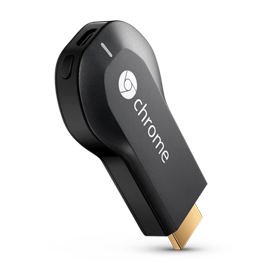 (Since casting music apps to the Chromecast is probably far less common than video, there may not be that many people who've tried this out in the last few weeks.) Users are reporting errors on different Android devices and Chromecast units, and even a few iOS devices as well. Multiple Google personnel have replied to the threat and escalated the bug. Unfortunately the last update was on August 20th, and even that was only telling people to file a feedback ticket on the Chromecast support page. Google Play Music customers, especially those who are paying for an All Access subscription, are starting to get agitated at the wait. At the time of writing there's no indication of a forthcoming fix from Google.